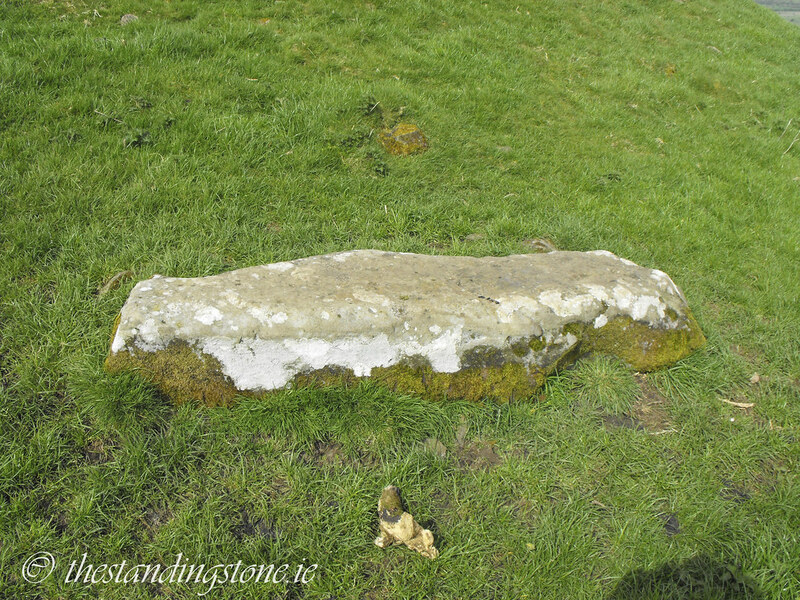 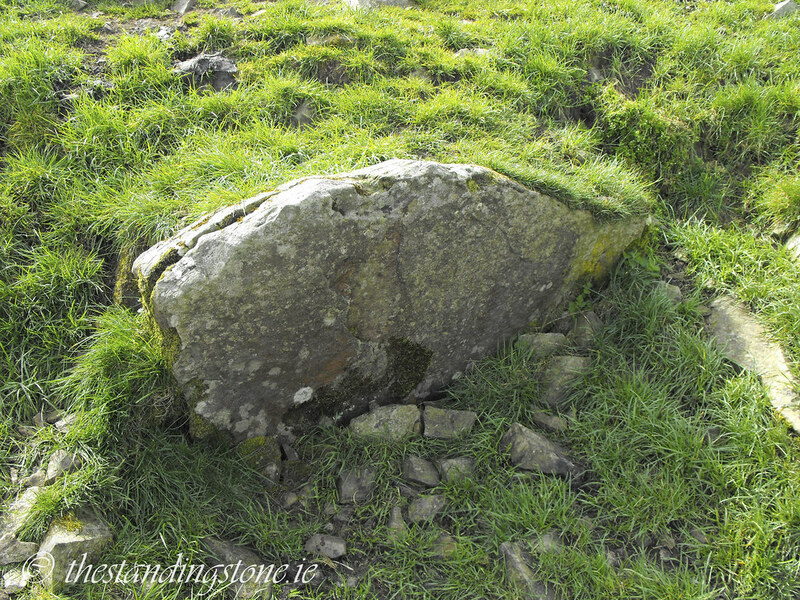 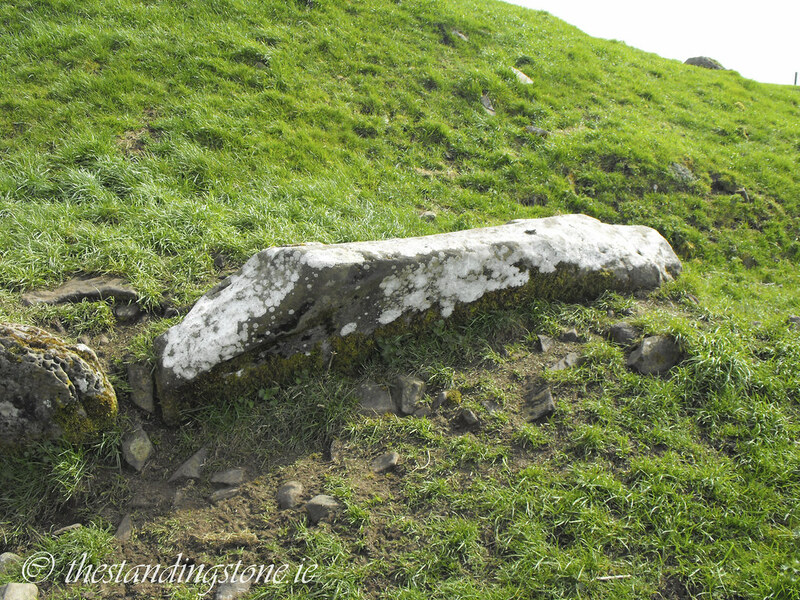 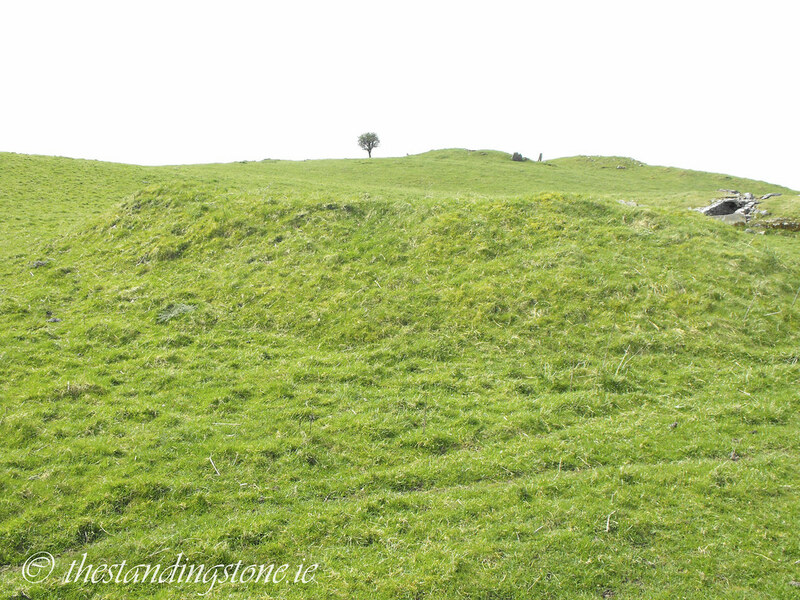 The Standing Stone: Cairn K, Carnbane West, Loughcrew, Co. Meath. 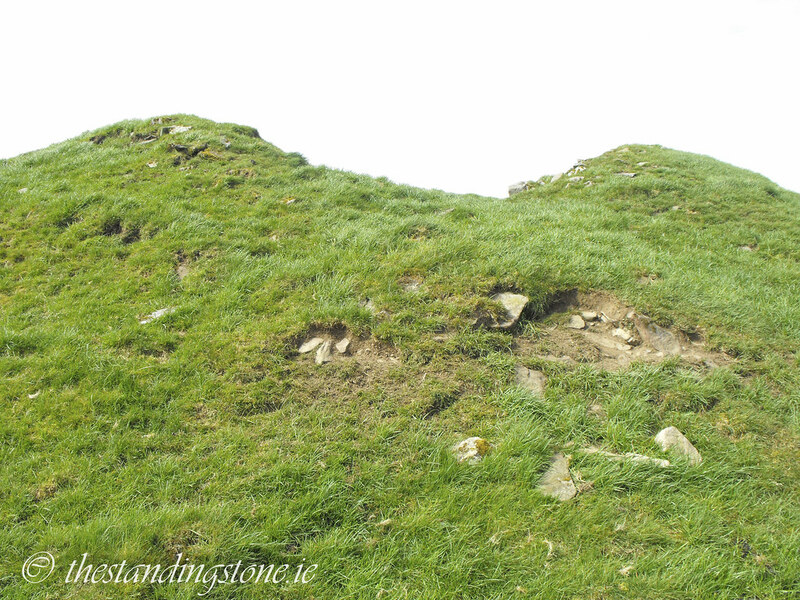 Cairn K, Carnbane West, Loughcrew, Co. Meath. 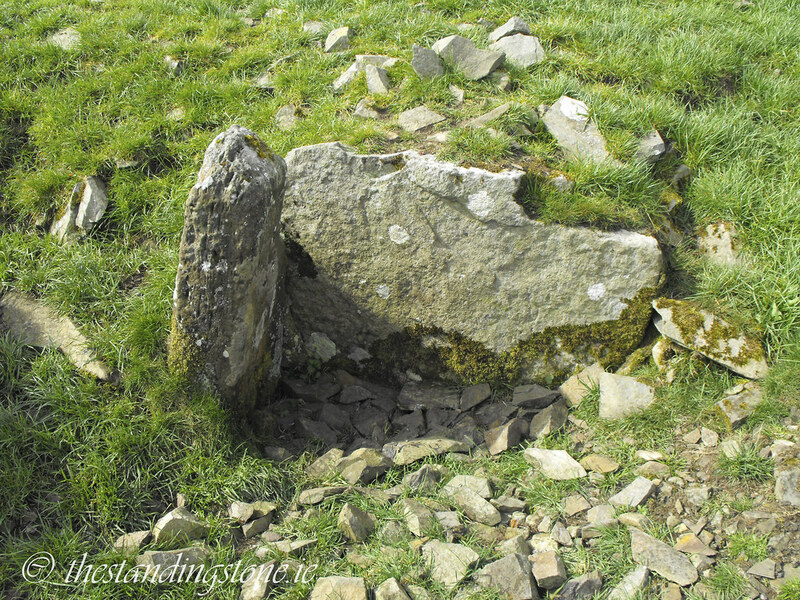 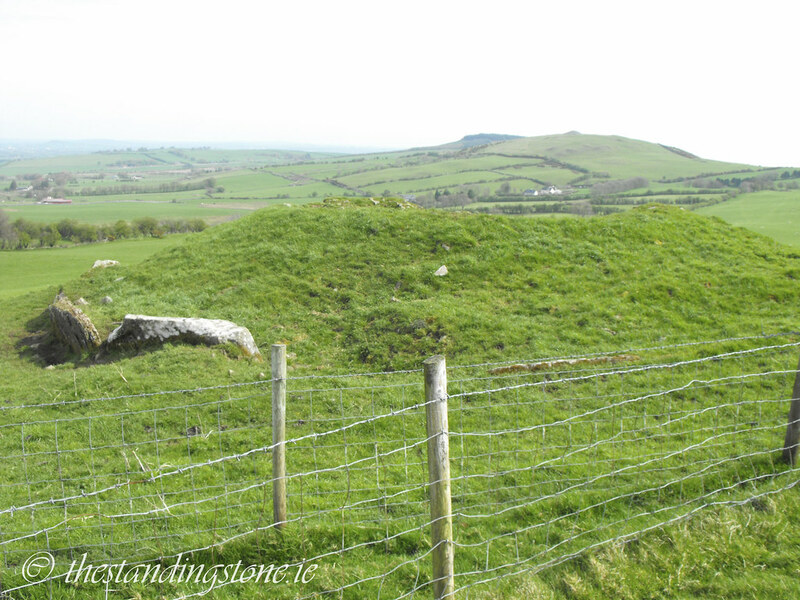 Location – This is the Northern most tomb on Carnbane West and another satellite to Cairn L.
Description and History – There is very little left of this tomb which measures 51m in circumference and 15m in diameter. 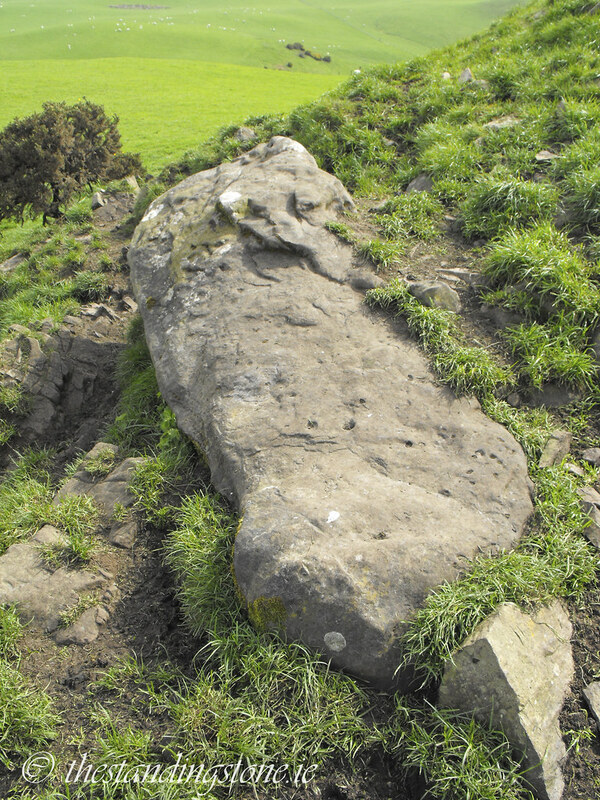 Some long and flat kerb stones remain but the chamber is badly damaged. 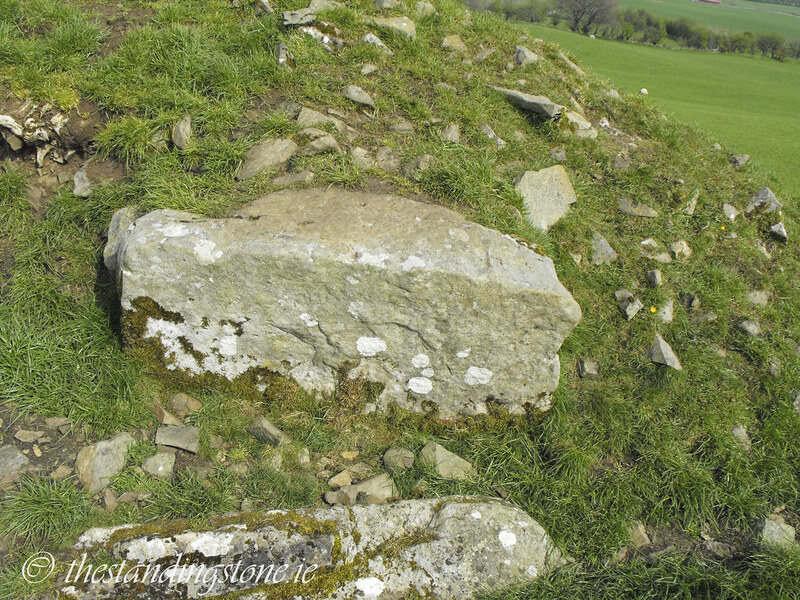 As with cairn J, decorated stones were reported but not visible now. 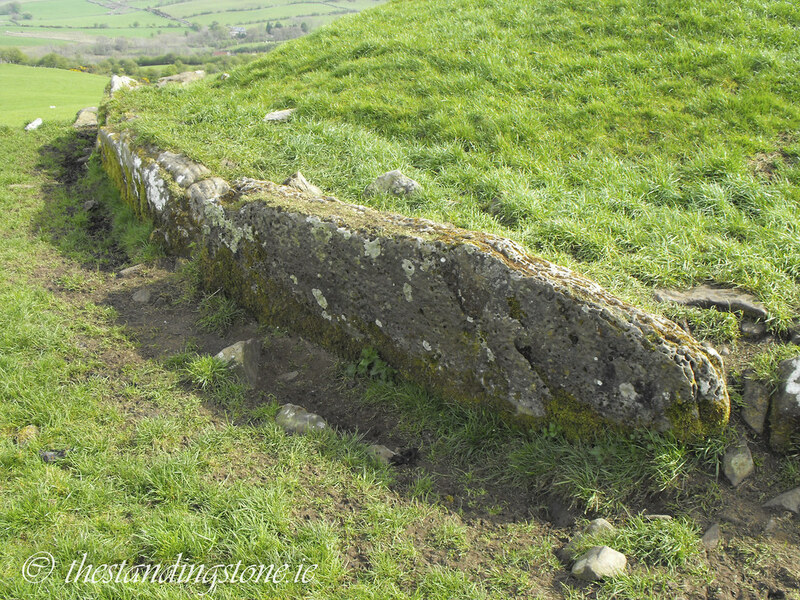 Because of the damage to the chamber it is unclear what the solar alignment is at this tomb. 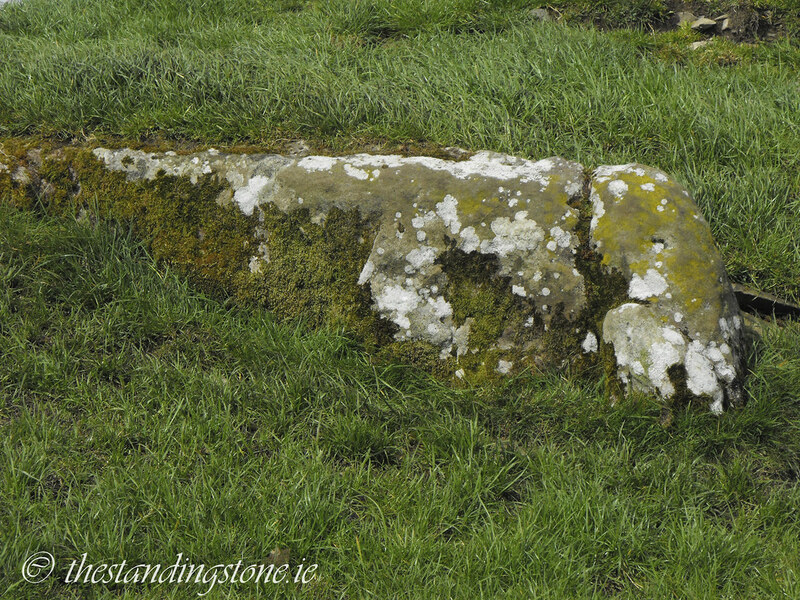 Difficulty – There is a field fence dividing this tomb from the others. 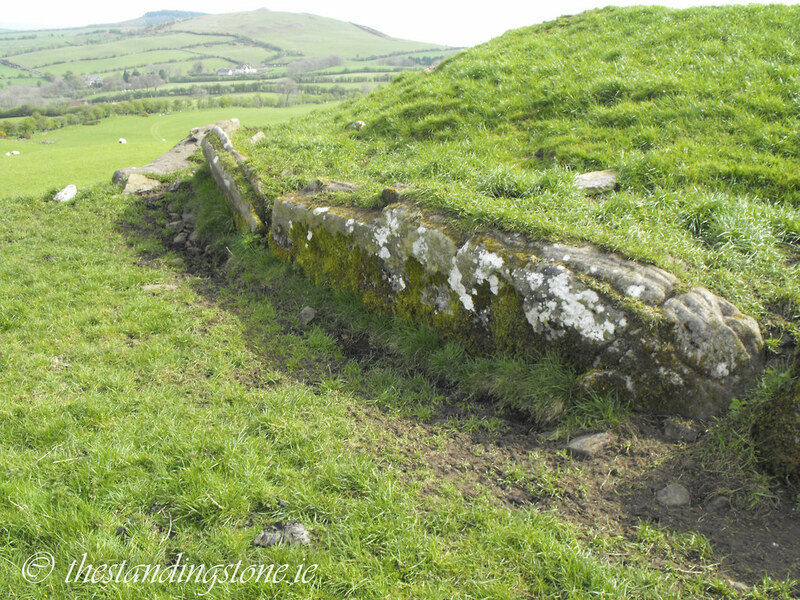 All that remains of the chamber. 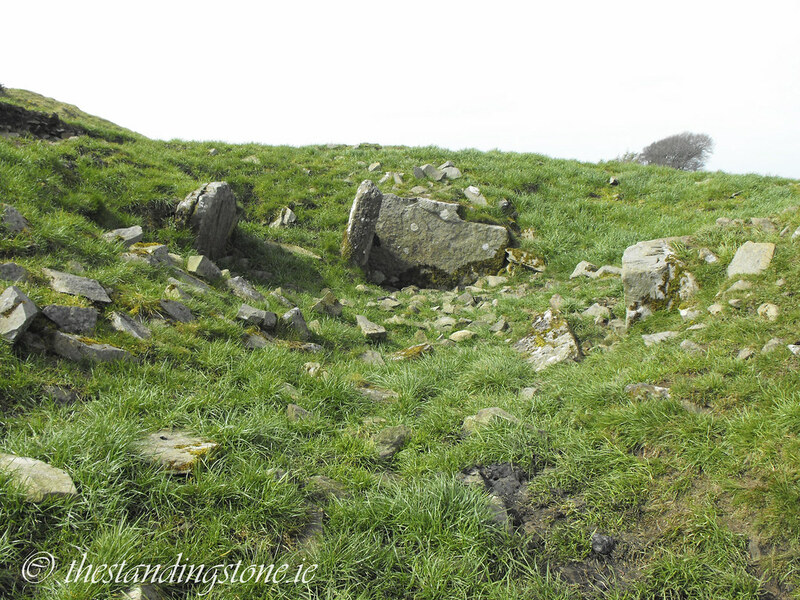 This is all that remains of the passage.